Midwifery publishes the latest peer reviewed international research to inform the safety, quality, outcomes and experiences of pregnancy, birth and maternity care for childbearing women, their babies and families. 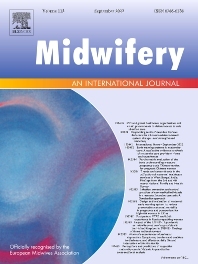 The journal’s publications support midwives and maternity care providers to explore and develop their knowledge, skills and attitudes informed by best available evidence. The journal welcomes the highest quality scholarly research that employs rigorous methodology. Midwifery is a leading international journal in midwifery and maternal health with a current impact factor of 1.88 (2017 Journal Citation Reports, Clarivate Analytics 2018) and employs a double-blind peer review process.